Port and Container Terminal industry with their infrastructure-heavy operation, requires a robust, future-proof asset monitoring and AI/Machine Learning solution that can help provide complete visibility, tracking and actionable predictive insights into all their assets and operators. Across the globe, ports and container terminals have witnessed significant capital asset management requirements, as well as growing trade volumes based on which it becomes increasingly important for the industry to track their physical resources. Ephlux has designed Ports & Terminal Asset & Operator Monitoring solution with an integrated approach through the combination of edge-intelligence via specialized hardware and firmware, IoT Gateway and cloud-based IoT Asset Monitoring and Machine Learning that can scale across multiple port terminals and can also co-exist with existing ERP and other industry-specific applications within the IT infrastructure of the Port. 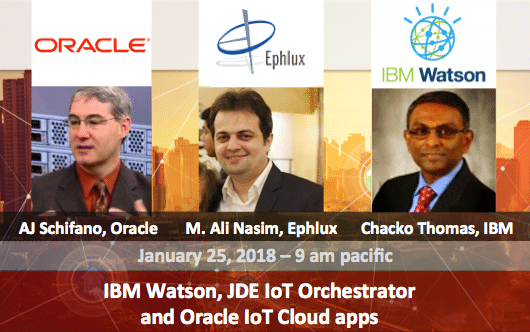 Using the powerful Oracle IoT Asset Monitoring cloud service, Ephlux has built a tailor-made solution for the Ports & Terminal Operators to monitor and track equipment via GPS, 3D Gyro, Accelerometer and other sensors in addition to a built-in, fully functional NFC Reader/Writer for operator authentication, pairing and more. Together with our cloud-based applications, we have designed a turn-key solution that digitally transforms the port terminal operators and stevedores. 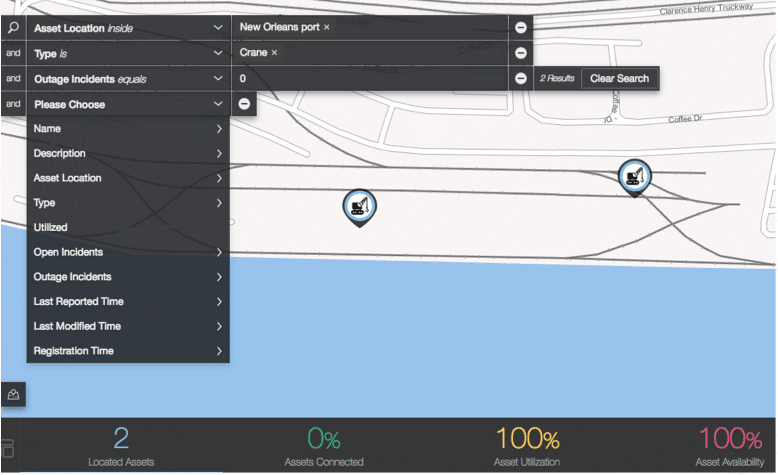 The solution is designed to offer GIS Maps that overlay the map of the port terminals. These maps show live equipment locations along with enabling advanced processing of data. 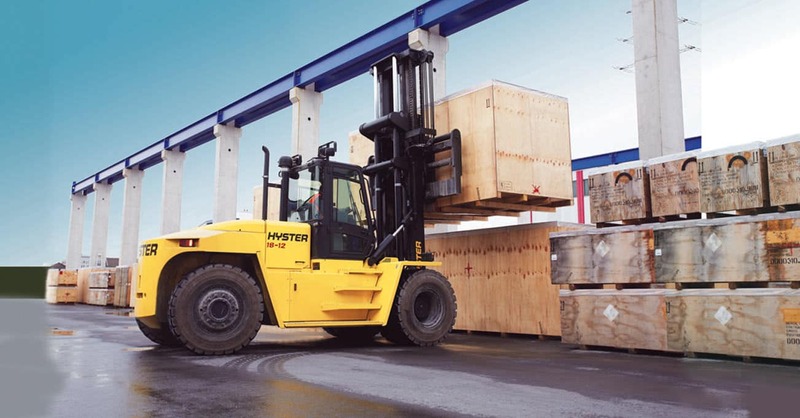 By capturing, analyzing and integrating across multiple pieces of equipment like forklifts, top loaders, etc. the solution allows advanced analytics and machine learning across entire data sets. This help the port to get real-time insights of cranes and operating drivers during loading and unloading. The solution is devised to optimize port operations with increased efficiency and safety. 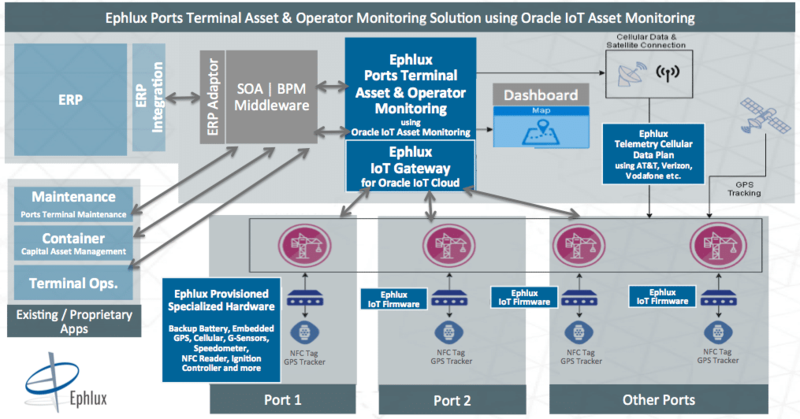 Ephlux has put together the solution using Oracle IoT AM to allow for real-time visualization with real-time snapshots of equipment uptime, utilization, and other real-time sensor values to be made available to the port at all times. With Asset Utilization (total utilized assets) and Asset Availability (current data status from the device) of connected assets, ports can evaluate the total number of utilized and available assets at any time through the IoT Cloud. The solution also adds interactive maps with geofencing that allows for monitoring of all assets in real time right on the map. Several KPIs are included for the user to be able to map and monitor the asset within the defined geofence. Interactive searching capability through the use of multiple parameters is an added option that users can utilize through the intuitive Search Builder. Not only are assets located and tracked, but any boundary violations also raise alerts to the user where required. The user can monitor several related KPIs on a user-friendly dashboard and see any incidents that are raised by the system automatically. The user can drill-down into the assets right from the Map to view the asset details including model, type, various parameters, sensor values, location history, alerts, warnings, incidents, anomalies, and predictions. The Drill-Down also provides a configurable “Asset Dashboard” to monitor the key performance indicators related to the Asset. Ephlux understands the complex nature and needs for tracking and managing assets for ports. Therefore, the solution has several controls and checks built in. Asset violation of location or geo-fence limits will raise an alert to the users e.g. Forklift taken to the parking zone in violation of the rule shall create either warnings OR incidents with the relevant authorities alerted based on those violations. The incident priorities would be set automatically based on the nature of the violation and the urgency of resolution. Asset sensor values available graphically in the real-time help monitor the trends and changes in KPIs. The insights gained with this solution and the predictive power of the embedded machine learning models help reduce overhead incurred from not having assets available where and when they are needed through proactive planning. Equipment and revenue loss and safety hazards due to unauthorized movement of the assets could be substantial and control of this cost can bring about a significant competitive advantage for any terminal operator and stevedore. To meet the specific requirements for edge intelligence and interfacing with the IoT Gateway and Cloud applications, Ephlux has built a firmware that provides localized intelligence and seamless interface between the hardware capabilities and the IoT Gateway which in turn is connected to the cloud based asset monitoring and predictive analytics. Based on the needs of a particular terminal location and data coverage, Ephlux provides tailor-made telemetry data plans leveraging our partnership with AT&T and also other telcos including but not limited to Verizon, Vodafone etc. as might be suitable for the port location and data coverage needs. Note: We do provide the Wi-Fi connectivity options as well where and when applicable for certain use-cases. 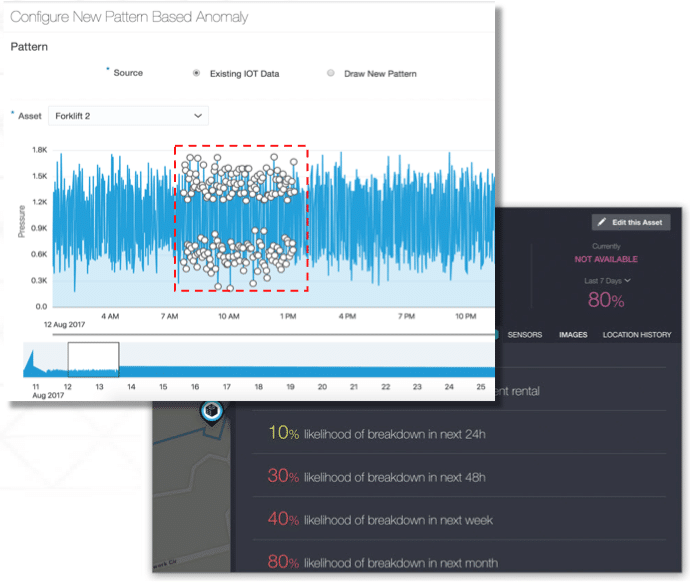 Machine Learning with Asset Monitoring Data – How Do Ports Win? Ephlux has worked on machine learning models where the learning capabilities are demonstrated through sensor data being added over time. With more and more data fed to the model, several benefits can be derived by a port such as predicting asset failures, downtime, potential violations based on the usage patterns and operator behavior and a lot more! The authorized operators (based on their training / certification and the current geo-fence of the assets) on scanning their NFC tags can pair up with the asset and automatically power up the engine ignition thus making their NFC cards behave as a key and also provide visibility of the operator efficiency, violations and more. The solution allows the users to define smart rules based on the predictions generated by the Machine Learning model and in turn invoke enterprise business process related to Job Cost accounting, capital asset management, predictive maintenance, security, performance evaluation, worker safety compliance and more! Pedestrian Gate: By attaching similar tracking devices on pedestrian gates, ports can use the same setup and architecture for tracking movement and behavior of pedestrians walking in and out of facilities. Behavioral analytics to identify anomalous and suspicious movements of individuals is indeed possible. Operator Training vs Efficiency: By mapping the training and certification data from the training repositories to the actual performance of the operators on the forklifts/top loaders etc., analytics can be provided into the effectiveness of various training programs offered by asset manufacturers for feedback purposes. 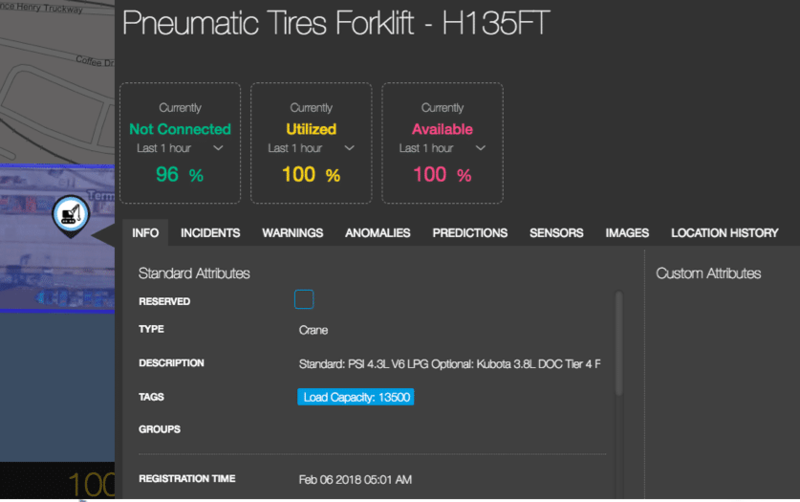 Predictive Maintenance: Through an end to end integration between the device, and Oracle Asset Monitoring cloud, predictive maintenance alerts, and work orders can be generated for just-in-time smart maintenance avoiding inefficiency involved with under or over-maintaining assets. Optimum Asset Orchestration: By combining movements (forward and reverse), speed and accelerometer data of multiple assets involved in the loading/unloading of the same ship consignment (job), cost and fuel efficient patterns can be identified. Blockchain Smart Contracts & IoT: Integrating sensor data to enable blockchain transactions using smart contracts for intra-company EDI transactions such as inventory check-in/check-out, reconciliations, cost accounting, and other intra-enterprise processes. Temperature / Vehicle Tire Pressure Monitor: Other sensor add-ons that can extend the current device including temp. and vehicle tire pressure monitoring can result in more comprehensive predictive maintenance alerts and work order creation. Enhanced Security Surveillance: Extended camera add-on could be triggered based on certain anomalous behaviors to take a time-stamped picture of the operator or the surrounding and send back to the system as proof of a suspicious event.